Berenecea Johnson Eanes, Ph.D., serves as Vice President for the Division of Student Affairs at California State University, Fullerton and owns more than 20 years of experience as a professional in higher education. As Vice President, Dr. Eanes is responsible for running a Division that supports the academic, personal and professional development of students. Presiding over a team of over 400 employees at a University with more than 40,000 students, she offers oversight and direction of the areas of Student Transitions, Student Engagement, Student Retention, Associated Students, Inc., Intercollegiate Athletics and Title IX. A firm believer that higher education is one of the most important social justice issues of our time, VP Eanes' focus is to partner with students and faculty to ensure that each area is equipped with the resources necessary to best promote student success. Beyond leadership within Student Affairs, she is also active as a member of the CSUF President's Cabinet and the President's Advisory Board, participating in the development of long-term, university-wide goals to increase engagement, retention, and graduation rates. A culmination of strategic planning and cross-university collaboration, VP Eanes was recently named and graciously accepted the California State University’s 2018 Wang Family Excellence Award for an administrator, which honors one administrator and four faculty members within the state system who have distinguished themselves by exemplary contributions and achievements. Prior to joining Cal State Fullerton, Dr. Eanes worked as Vice President for Student Affairs at John Jay College of Criminal Justice in New York, Associate Dean of Students for Diversity and Accessibility at Hamilton College, Associate Director of School of Social Work Doctoral program at Columbia University, and program manager for several TRIO programs Morehouse College in Atlanta, Georgia. Holding a deep understanding of a diverse range of perspectives within higher education, she has also worked in faculty positions at John Jay College of Criminal Justice, Georgia State University, Clark Atlanta University, and Morehouse College. 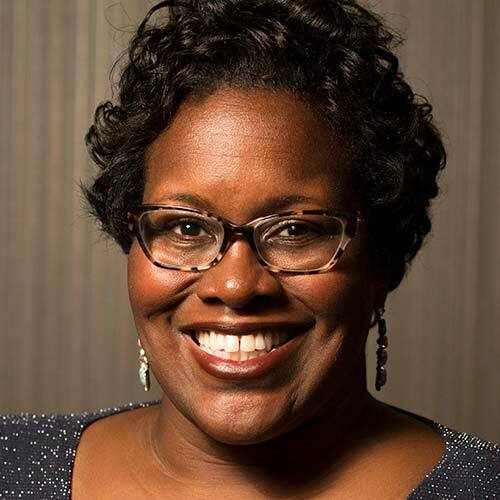 VP Eanes is presently a member of several Student Affairs professional associations, including NASPA (National Association of Student Personnel Administrators), which she led as Director of Region VI from 2016-18. A published author, she contributed to the 2018-published “UnCommon Bonds: Women Reflect on Race and Friendship,” and has written for several other publications. Berenecea received a Ph.D. in Social Work from Clark Atlanta University, a Master of Social Work from Boston University and a Bachelor of Science in Public Health from Dillard University in New Orleans. Anh Nelson has worked at Cal State Fullerton for more than 20 years, joining the Office of the Vice President for Student Affairs along with Vice President Berenecea Johnson Eanes in 2012. 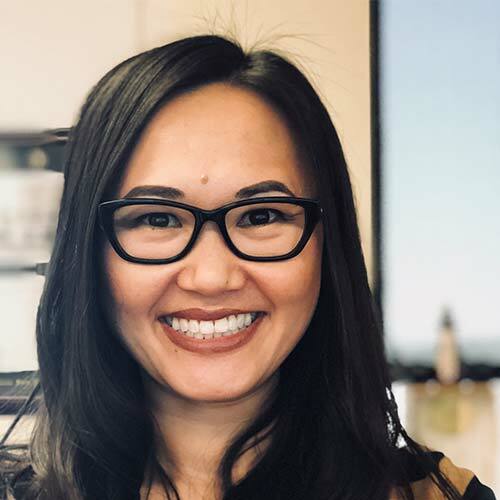 As Executive Assistant to VP Eanes, Anh is responsible for providing executive-level and confidential administrative analysis, support and coordination of day-to-day operations, special project support, and more. She is also the point person and information liaison for the President’s Office and other Division of Student Affairs executive officers. Prior to her present position, Anh served in various roles across campus, including as Office Manager and Assistant to the Director of the Faculty Development Center, Administrative Assistant to the Dean of the University Library, Head of Library Circulation, Library Service Specialist and Student Assistant in the Pollak Library. Educated at Cal State Fullerton, Anh is the true definition of a Titan alumnus. After graduating high school, Anh enrolled at CSUF as a first time freshman to pursue her undergraduate degree. She would later become the first in her family to receive a college degree, graduating with a Bachelor of Arts in Liberal Studies in 2000. Joining Cal State Fullerton in a professional capacity in 2001, she has since completed several Continuing Education Certificate Programs in the following areas: Human Resources Management, Professional Office Administration, Professional Meeting Planning and Special Events, Effective Employee Management for Managers and Microsoft Access. Passionate about student success and education, Anh looks forward to pursuing her masters degree in public administration. 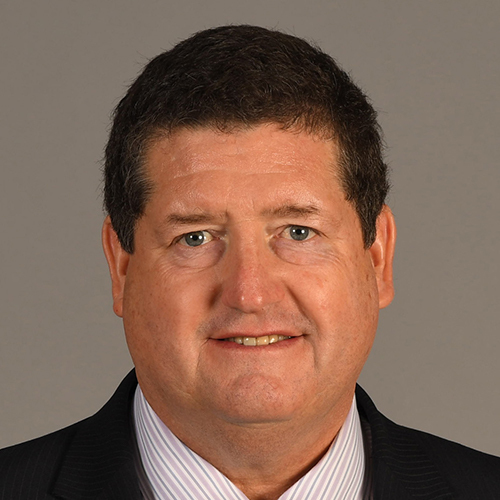 With over 20 years experience in athletics administration to his credit, Jim Donovan was appointed as the 11th Director of Athletics at Cal State Fullerton in 2012. An Anaheim native who attended both Servite High School and Santa Ana College, Donovan joined the university after spending 17 years in the athletics department at the University of Hawaii at Manoa, including time as the director of athletics from 2008-12 where he oversaw a 21-sport operation with a budget of more than $30 million. During his time at Hawaii, the athletic programs saw a collective improvement in both Academic Progress Rate (APR) and overall grade point average (GPA), all while Donovan managed a department that included more than 120 full-time staff, 200-plus part-time staff, and 450-plus student-athletes. Moreover, Donovan spearheaded a fund-raising effort that secured more than $40 million in public and private capital improvement projects and increasing planned giving and major gifts from $5 million to an estimated $14 million. On the field, the Rainbow Warriors competed at a high level, making 20 postseason appearances, including two football bowl appearances, an NCAA semifinal appearance for women's volleyball, softball's inaugural appearance in the Women's College World Series, and postseason tournament appearances for men's basketball, sand volleyball, and men's and women's tennis. A 1983 graduate of Hawaii with a bachelor's degree in geography, Donovan also earned an executive master's degree in business administration in 1996. After working nearly 15 years in the California State University system and for more than 20 years in higher education, Dave Edwards, Ed.D., joined Cal State Fullerton as the Executive Director of Associated Students, Inc.
Holding a deep passion for student success and professional development, Dr. Edwards advises elected student leaders, provides executive management and leadership to the non-profit auxiliary, manages a $20 million-plus budget, and oversees the operation of the Titan Student Union, the Student Recreation Center, and the Children’s Center. Prior to CSUF, Dr. Edwards served in a variety of Student Affairs positions at California State University, Long Beach; California Polytechnic State University, San Luis Obispo; Shawnee State University (OH); Pfeiffer College (NC); and Southern Illinois University, Carbondale. Dr. Edwards received his Bachelor of Science degree from the University of Evansville (IN) and his Master of Education in College Student Personnel from Southern Illinois University, Carbondale. Continually striving for more in his education endeavors, Dave became the first individual to receive an independent doctorate degree in the history of The California State University, when he received his Doctorate in Educational Leadership from California State University, Long Beach. His research interests include university presidential leadership, student development, change management, and staff engagement. Tonantzin Oseguera, Ed.D., was named Associate Vice President of Student Engagement for the Division of Student Affairs in December of 2016. 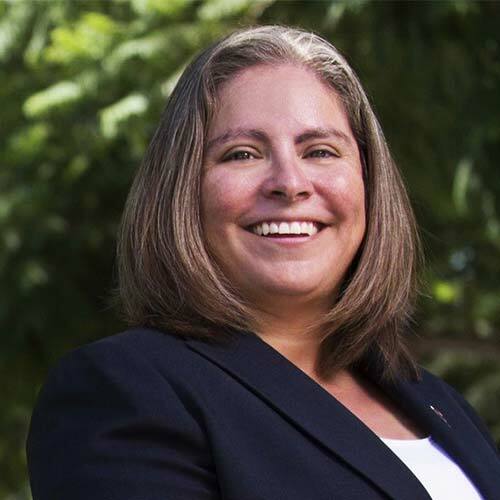 Serving as Dean of Students at Cal State Fullerton for the three years prior to her appointment, Dr. Oseguera holds more than 15 years of professional experience in higher education to her role. 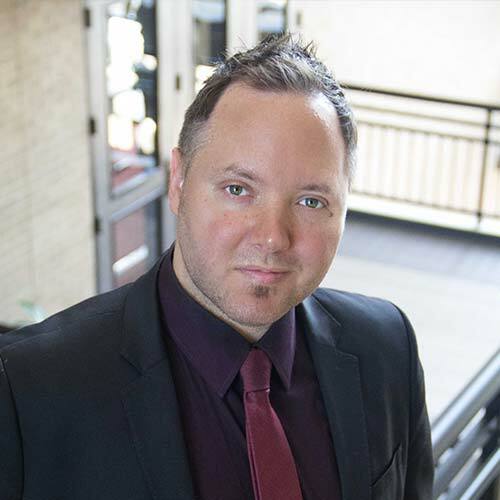 As AVP of Student Engagement, Dr. Oseguera is responsible for oversight of the WoMen's & Adult Reentry Center, Student Life & Leadership, Housing & Residential Engagement, the Dean of Students Office, and the Diversity Initiatives & Resource Centers (DIRC). Included in DIRC are the African American Resource Center, the Asian Pacific American Resource Center, the Chicana/Chicano Resource Center, the LGBT Queer Resource Center, and the Titan Dreamers Resource Center. Formerly serving as Dean of Students, Dr. Oseguera played an integral part of improving Student Conduct, Student Code of Conduct, compliance and policy development at CSUF. The USC alumna chaired the Behavior Intervention Team, managed day-to-day cases for student concerns, mediated faculty and student disputes, and worked as part of the FERPA and Title IX Implementation teams. Moreover, Dr. Oseguera has acted as CSUF's representative and advisor for the Associated Students, Inc. Board of Directors. Prior to joining Cal State Fullerton, Dr. Oseguera worked as the Assistant Dean of Students for Student Life at the University of California, Riverside, the Director of Student Activities and Leadership Programs at Portland State University, and the Associate Director of Student Activities and Organizations at Chapman University. Tonantzin earned her doctorate degree in Higher Education Administration from USC. She received her Master's in Higher Education and Student Affairs Administration from the University of Vermont and a bachelor's degree in Human Development and Family Studies with an emphasis in Gerontology and Women’s Studies. Calling Cal State Fullerton his professional home for more than 20 years, Rob Scialdone, M.F.A., is Budget Manager for the Office of the Vice President for Student Affairs, offering tremendous institutional, financial and academic knowledge to help advance the mission of the Division of Student Affairs. 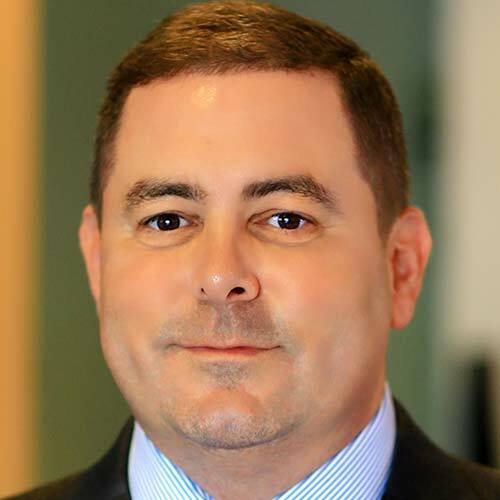 A shining example of a Cal State Fullerton alumnus turned Titan executive, Rob joined the Office of the Vice President in June 2016 following three years in the Office of the Provost as Academic Finance and Operations Manager. Included among his many responsibilities in recent years: Accounting for all of the income and expenses as processed through the State of California, managing capital projects and minor capital projects, overseeing workspace allocation and utilization of space, financial reporting, budgeting and payment processing. 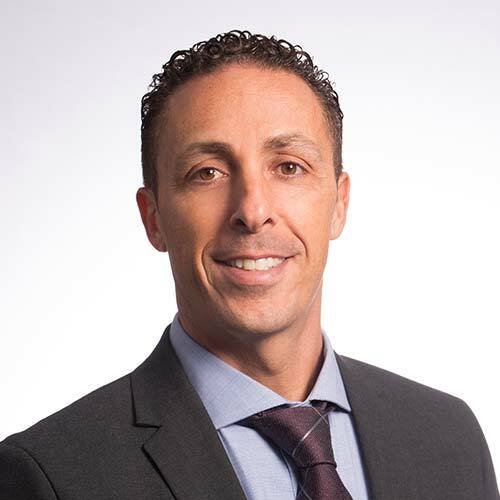 Accepting a professional role at Cal State Fullerton in 2001, Rob originally served as chief financial officer for Titan Athletics after a stint in the private sector as a corporate strategist and financial advisor for startup companies. He also worked as a senior financial analyst for a mortgage REIT before returning to CSUF. A native of Southern California, Rob attended Claremont McKenna College until 1995 and graduated in 1996 with a B.A. in Economics from Cal State Fullerton. He later returned to Claremont McKenna College and received a master's degree in finance in 2000.